The Affordable Care Act has generated more interest in healthcare legislation than any other single piece of legislation to have been enacted in decades. For the healthcare industry, the flurry means more sources to use in our exploration of this and similar topics that we’ve followed throughout our careers. The renewed interest combined with the advance of the internet and the steadily improving quality of blog sites, means we have many sources to draw from to keep up to date with relevant information. When researching healthcare legislation and its impact on the field, we consistently find ourselves returning to these seven blog sites. You may find them helpful as well. The conservative think tank, the Heritage Foundation, hosts a blog site called the Foundry that features a section of healthcare specific articles. They’ve been following healthcare reform for years and provide analysis from 2008 to the present, including reports on the effect of healthcare legislation on various institutions and segments of society. Hosted by the Health Law Department in McDermott Will & Emery LLP’s Washington, D.C., office, the Health Care Law Reform blog’s goal is to keep up on the U.S. healthcare law developments. 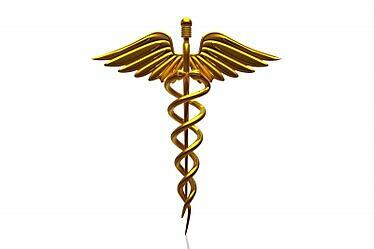 This site provides helpful information related to how reforms will affect the industry of healthcare. The Healio Blog site divides into several different healthcare areas, and the section for Orthopedics is especially good. With five different orthopedic related professionals providing blogs, you can see a range of both topics and opinions around legislation. And they appropriately focus their blogs on orthopedic related issues. The American Association of Orthopedic Executives has a news site that regularly posts about various aspects of healthcare. They include news stories and analytical blogs that speak specifically to healthcare and regulations as they apply to orthopedic medicine. This site really provides a range of topics that encompass all areas related to ortho. This blog site is hosted by the American Association of Orthopedic Surgeons and provides a monthly news letter with articles very specific to orthopedics. This site covers all aspects of orthopedics -- it provides information ranging from regulation changes to advice on how to answer patients questions. The Radiology Business Management Association hosts a blog that touches on all aspects of radiology. From updates about healthcare legislation, to articles on how to improve financial performance, the blogroll includes articles from every month. We check back here regularly to see the latest news related to radiology. The Radiology Daily blog site touches on all healthcare topics with a slant on the radiology aspect of the topic. They also provide timely updates when changes are being made or talked about in healthcare regulations. Healthcare Informatics is a technology support blog that talks about technology solutions for healthcare needs including how technology solutions can help you meet regulations. This blog helps keep us current on where technology solutions are being implemented to support healthcare in general. In addition to these blog sites with knowledgeable contributors, the various health government websites all have blogs. When new legislation is presented, these sites can provide specific information for understanding the new laws and how they might affect you. Check them out at the Whitehouse, the CDC, and Health/Human Services.